It’s a grey Anzac day and I am spinning some quiet tunes. I have neglected to post my recent mixes. My iPod tells me that I am approaching my 260th mix but you wouldn’t know this from reading my blog. 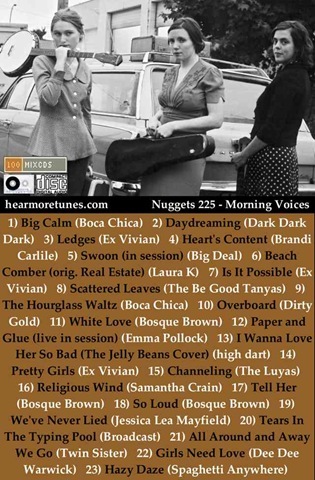 So, Nuggets 225 Morning Voices. 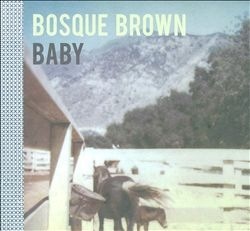 Big Deal, Boca Chica, Broadcast, high dart, Jessica Lea Mayfield, Spaghetti Anywhere, The Luyas, and Twin Sister have featured on past posts, leaving 10 new artists in this mix; Bosque Brown, Brandi Carlile, Dark Dark Dark, Dee Dee Warwick, Dirty Gold, Emma Pollock, Ex Vivian, Laura K, Samantha Crain and The Be Good Tanyas. All good. Have a listen. 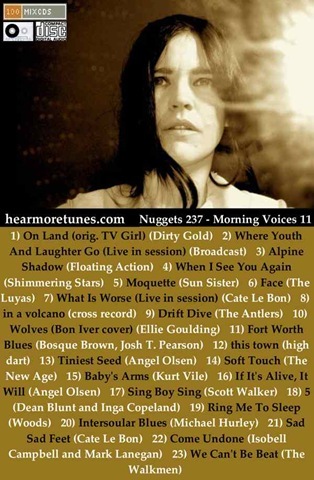 Nearly all the tracks are up and the playable version of this playlist follows hosted by my friends at Grooveshark. I am a bit worried about Grooveshark, the company isn’t thriving and the lawyers are circling. It would be a bugger to recreate my playlists using another service. Brandi Carlile is country and there’s no denying that. Like Dolly in a good way… According to her bio she was brought up on Patsy Cline and Elton John. Strangely, so was I. 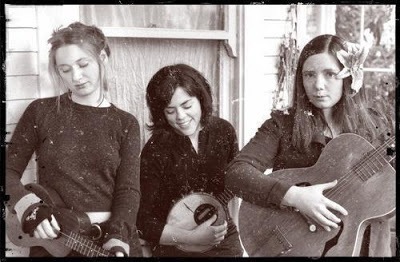 Dark Dark Dark is an American folk band. 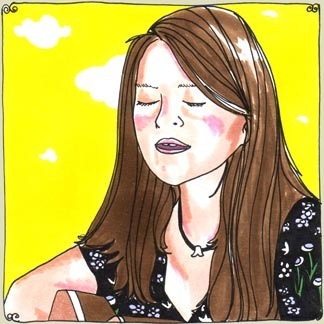 This is a live track from a Daytrotter session. 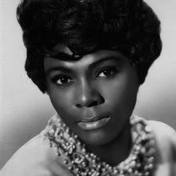 Dee Dee Warwick had the misfortune to be Dionne’s little sister. She didn’t get the love or the hits, but her grungy (original) version of "You’re No Good” is a winner. Dirty Gold is a band formed by some friends from High School. 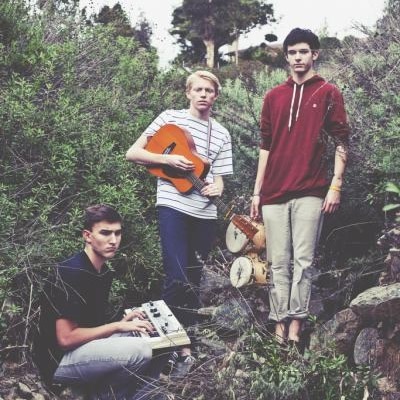 Sunny afro pop from San Diego. This track is from an EP with TV Girl where each band covers the other’s songs. Cute. 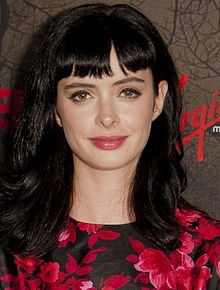 Ex Vivian aka Krysten Ritter from Breaking Bad and other TV fare. 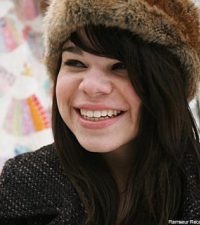 Samantha Crain is a seasoned folk singer. Excellent track, must find some more. 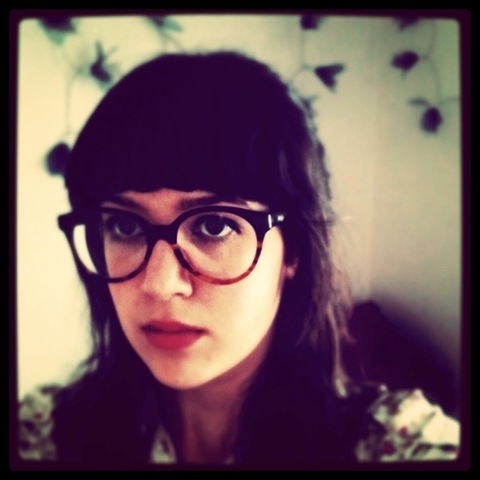 Laura K – Aussie by way of London with a Real Estate cover. Lots of her music on Bandcamp. Bye, off to get the rest of the mixes up.